Q: You’re on the streets of Chicago, wandering into Pentecostal churches, how did that initial roaming around, years ago, play out later in life? BD: I think that I was a born loner. My mother was a single parent, working in a torpedo factory in the Midwest, and I didn’t like school. I felt very isolated. And so I could do both my reading and my writing at the same time, with a camera. Q: And that is what became the trajectory for the rest of your life. I want to go to 1961, because even as I look at the book “Time of Change”, I think it was before you ever rode with the Freedom Riders that you got a job to shoot fashion models. And you got caught-up in that – it was quite glamorous. But at the time, your heart wasn’t really in it, was it. 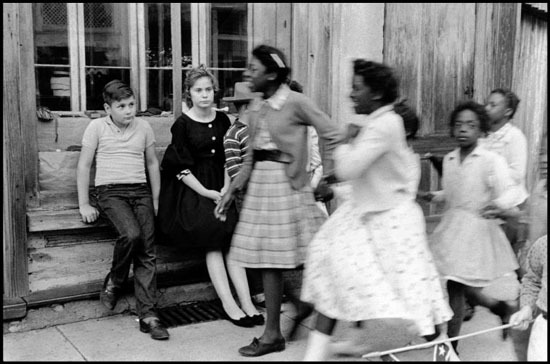 BD: In 1959, I photographed a Brooklyn gang for a year. And when that was published, Alex Lieberman at Vogue asked me if I’d like to do fashion. He’d been told by Cartier-Bresson that I could do fashion because I could do gangs – it doesn’t make a difference. So I began to do fashion to support other things I wanted to do. But my heart wasn’t in it. The models were too tall and too sophisticated for me, and I’m a sloppy dresser. Q: You mentioned Cartier-Bresson. Did your relationship with Bresson inspire you or your work at all? BD: My relationship with Cartier-Bresson goes back to 1956, when I was a soldier stationed near Paris, and I’d photographed an old woman I’d met in Montmarntre, who knew Gauguin, Lautrec and Renoir, so it was kind of a nostalgic, romantic series of photographs I’d made of this old widow in her garret. Cartier-Bresson saw these photographs and we became fast friends. 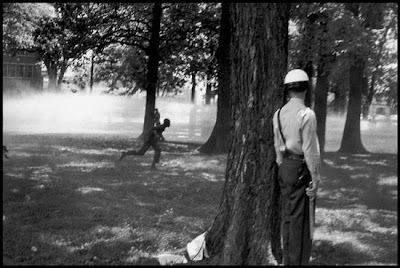 And all through the ages and stages of my photography, I keep going back to Cartier-Bresson. He’s a true mentor in the sense that I wanted not only to be a photographer like him – I wanted to be like him. Q: Well, you’ve certainly become a photographer extraordinaire in your own right. 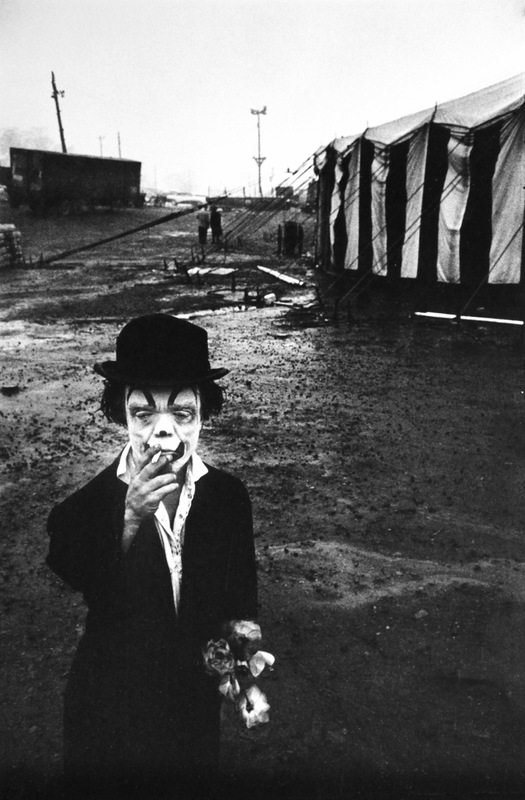 And I think not only Cartier-Bresson, but a number of experiences in your own life contributed to that. 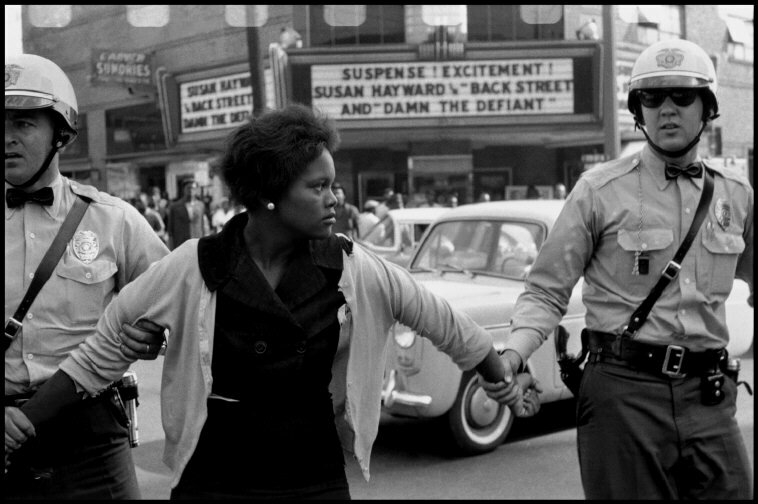 Tell a little bit about how riding with the Freedom Riders in 1961 helped to open your eyes to your craft. 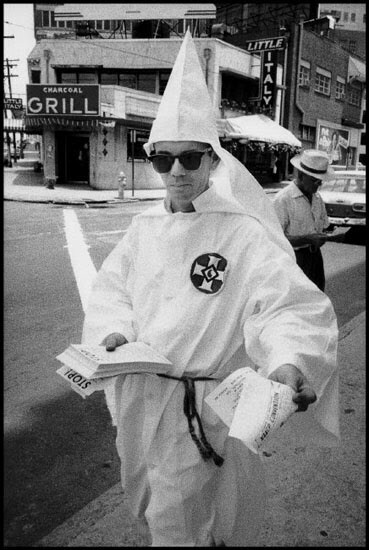 BD: Obviously I was a mid-western boy, white, protected from any kind of violence or oppression. And in 1959, I’d spent a year with a Brooklyn gang, as I mentioned before, and after that, in 1961, I was thinking of doing something about youth in America. 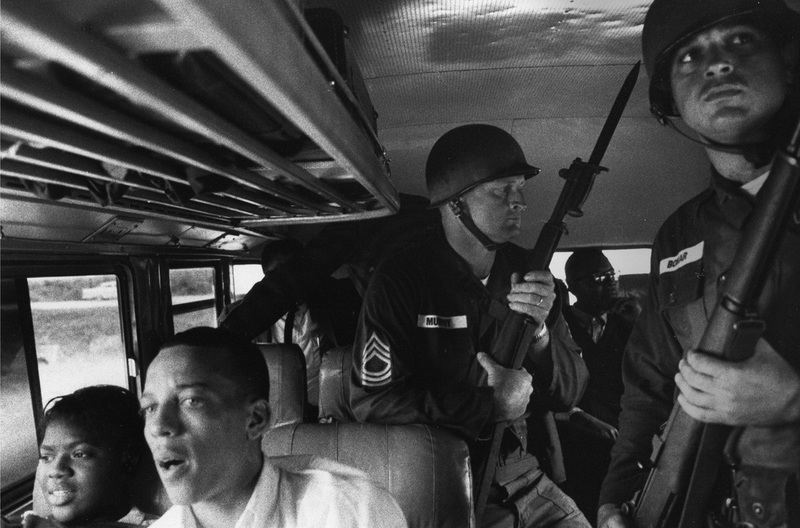 I volunteered to go on a bus, a Freedom Ride, from Montgomery, AL, to Jackson, MI, thinking that youth now wasn’t youth as I knew it, but the youth that was confronting the segregation laws of the South. And they were mixed – whites and blacks – and they weren’t all young. Some were older people, but basically it was a youthful movement. Q: So you proceed with that movement, and from what I have seen in the introduction to a previous book of yours, you saw some things that got to you emotionally, when you would be standing there and you would see people demonstrating peacefully, and you could see the thing escalating, you could see it beginning to show signs of getting violent, and you would be there shooting pictures. Did that pull you in emotionally? Is that what we see in your photograph(s)? BD: Yes, I was pulled in emotionally by the courageousness of those young kids, who as soon as they got off that bus, they could have been murdered. And it was murder. Also, riding on that bus, there was also the possibility — there were snipers, everyone has a rifle in the South. For the first time in my life I witnessed this sense of tension. Q: One of the things that’s been said by Julian Bond is that this book consists of pictures both of civil rights workers in the South and people in Harlem who were not expressly part of the civil rights movement, but it really represents the connection of what the civil rights workers were fighting for, and what the lives of people in places like Harlem represented. Did you see it in the same way? BD: Absolutely, I felt that there was a tapestry building, and that tapestry had many weaves. And I did this not knowing very much about what I was really doing. Look, I was very young and naive. But I sensed some humanity there, and proceeded photographing and documenting the humanity that I saw, whether it was oppressed or not. Migrant workers. 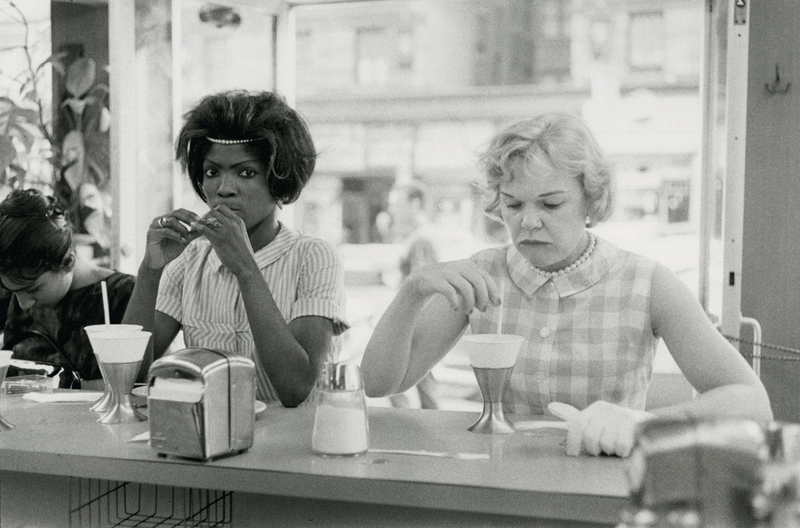 Ordinary scenes that showed both the dignity of the people in the context of segregation. Q: Young and naive is what you’ll see in one of the photographs in this book that shows a young Louis Farrakhan looking up as Malcolm X made a speech. 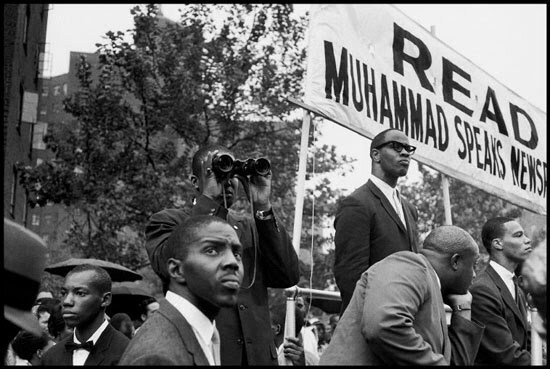 It startled me, I’ve never seen a picture of Farrakhan so young. You said, “all my photographs are portraits – self-portraits, because you can’t photograph someone without reflecting / echoing, like a bat sending out a signal that comes back to you. You get not only a picture of who you’re photographing, but you get a picture of yourself at the same time.’ What have you learned about yourself by taking photographs? BD: (sigh) What have you learned by eating a good meal? It’s digested in my being. I’m very open and reflective and patient and observant, that’s how I prefer to work, to be an insider on the outside, or an outsider on the inside. I’ve learned so much from all the various things I’ve photographed that it’s within me, it’s my flesh and blood. Q: How should we look at your photographs? Is it about dropping the viewer inside the lives of the people you photograph? How active do you want the viewer to be while looking at your work? BD: One thing I’ve discovered is that it’s easier to get inside a world than it is to leave it. The painful part is leaving it. You find you have attachments, bonding. When I photographed the Circus Dwarves it was difficult for me to leave that little man – in fact, for years, I’d write him, and he’d send me his route card, and I’d call-up the Chief of Police in that little town in the middle of somewhere and say, “my brother is a dwarf in the circus, and they immediately thought I was a dwarf, and they’d drive out and give him a note, and he’d call me”. Q: I showed those dwarf pictures to people today, and they kept going back to them. In much the same way that you kept going back. Most of your work is not done on assignment it seems that the assignment finds you. BD: That’s right. In fact, when I was doing fashion photography, I used that income – I was single, I lived in a one-room apartment, a garret with a skylight, a mattress on the floor, a darkroom/kitchen combo – I was kind of a monk. That’s sort of the way I am now, even. I’m not a monk, but I have a monk spirit. Q: You mentioned the patience. You stay with things for a long time. 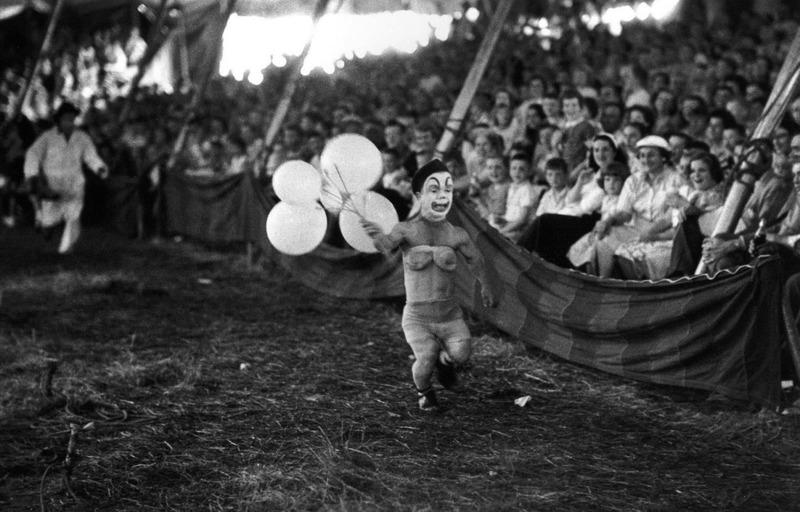 You stayed with that group in 1959, then you went back years later, after you lost track of members of the group, same with the Circus Dwarf. What is it that makes you want to spend time with your subjects and revisit them again? BD: I think the way photography is for me is it’s part of my being. once I capture something on film, I don’t want it ever to leave me. It’s a child. I want to watch that child grow-up in some ways. 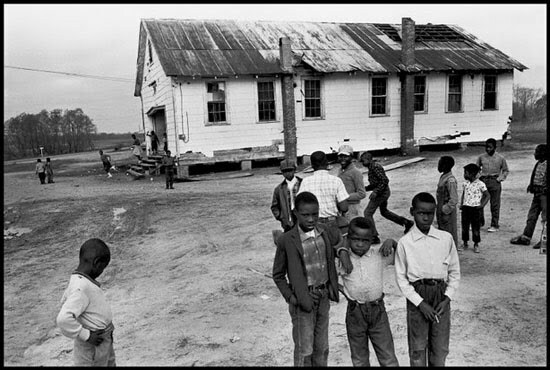 Recently, I’ve returned to Selma, Alabama, and I’ve found some of the family members from 1965, so I’m reintroducing the feelings I had 35 years ago to the awareness today. BD: I never know, because I work out of a state of mind. I could tell you, I’m fascinated by the New York waterfront. I’ve been photographing it since 1986, off and on. I’m very involved with the QE2, the North-Atlantic ocean liner. I’ve explored ever inch of that ship. Six weeks of various voyages on her. I’m intrigued by that. 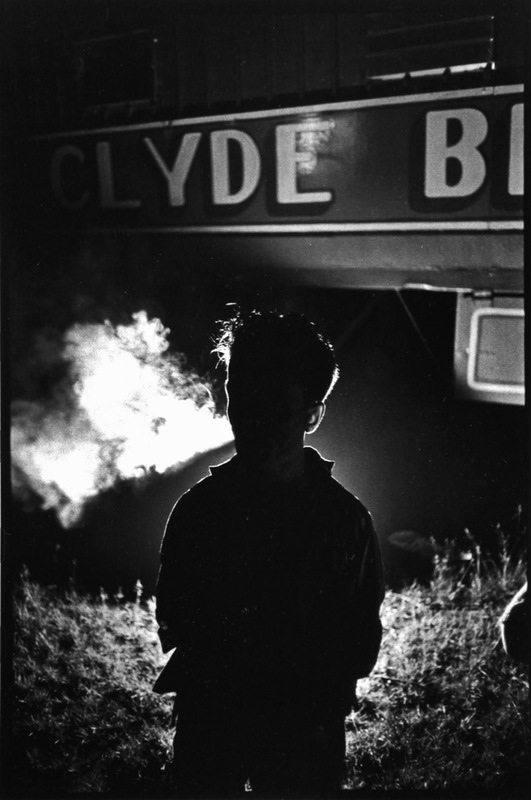 Q: Is there still a little bit of that teenager, wandering around Chicago, the young Bruce Davidson? One gets the impression that you continue to be fascinated by things you see around you and you’re just drawn to them. BD: Depending on who you ask, I’m either three years old, 13 years old, or 85. But yes, there’s that teenager, because I’ve always felt that sense of isolation, and that sense of wanting to belong, but not knowing what it is I want to belong to. Q: You seem to inhabit the space of your subjects, and in turn, you bring a humanity to the images in your photographs. When you’re talking about being fascinated with places, how is that different than photographing people? BD: For me, everything is sacred, whether I’m photographing a human being or a statue or the good earth. It’s sacred, I absorb it. I want to absorb it . I’m very interested in the Southwest, for that reason. 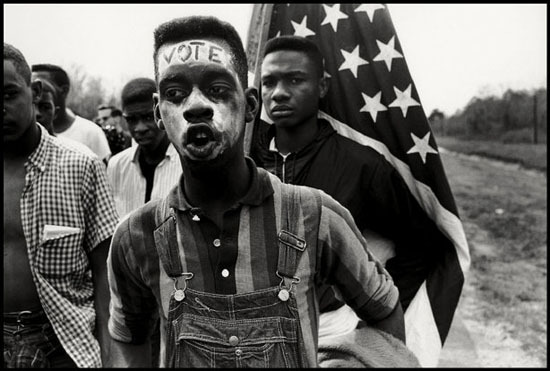 Posted in Interviews and tagged Bruce Davidson, Circus, Civil Rights, Documentary Photography, Henri Cartier-Bresson, Interview, Interview B, Magnum Photos, Racism, The New York School.